A home gutter system helps to collect and channel water from rainfall and melting snow off your roof and away from your siding, windows, and foundations. 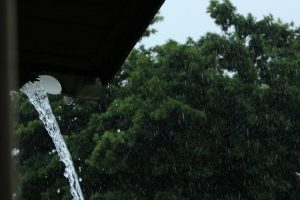 This is typically done using a trough-like system, where the slope of your roof leads the water to the gutter, which catches it and directs it to a downspout. The downspout releases the water either into the ground or into a rain barrel, which acts as reservoir of water to be used to water plants or wash the exterior of your home. Though most gutters serve the same purpose from home to home, not every gutter system looks the same. Gutters come in a variety of shapes, colors, sizes (or “profiles”) and materials. The most common include aluminum, steel, and copper. Gutters that hang horizontally from the eaves of your roof are typically open. 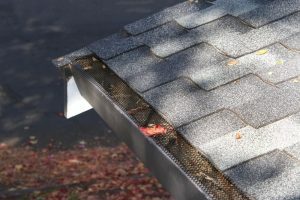 However, to prevent debris-related clogs, screens, gutter guards, and covers can be added to help lengthen the lifespan. This simultaneously reduces the necessary maintenance. Speaking of maintenance, keeping your gutters clean is a must to helping them work as efficiently as possible. Install covers, screens, or guards to keep water flowing to and from downspouts. This will eliminate environmental debris, such as leaves, branches, seed pods, and tree nuts from filling up your gutters. The result can be roof damage, water leaks, and siding damage, to name just a few. 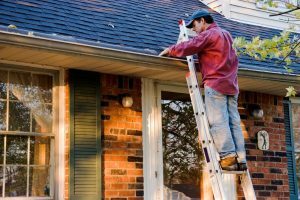 Cleaning your gutters isn’t difficult to do, but the process is one that requires special attention to safety. 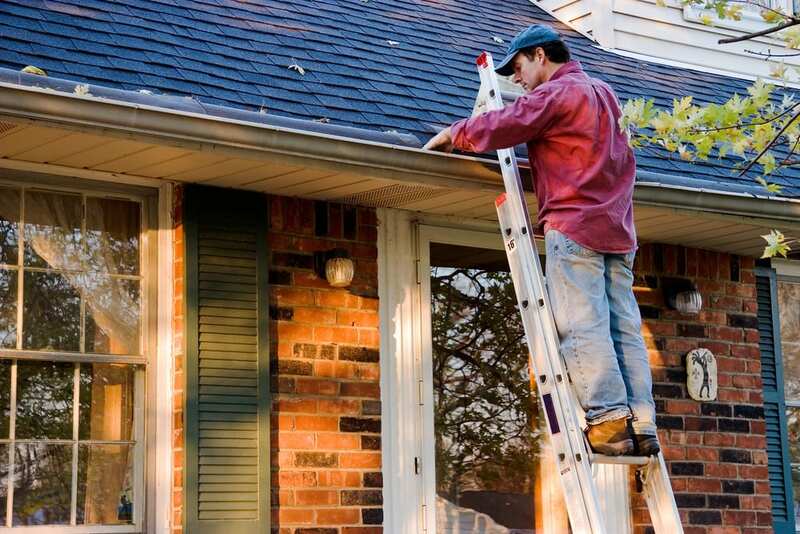 Hire a licensed and insured professional if gutters are high or roof is at a steep angle. They can clean your gutters and review your roof and housing exterior for any potential hazards that need remedying. Aluminum gutters typically last at least 20 to 30 years when cleaned and maintained regularly. Replace gutters that are no longer working properly, showing signs of wear or damage. Some issues may be visible to the naked eye. Including gutters hanging off of eaves, dented downspouts or gutter seam splitting causing water to drip onto your foundation. Other problems may present themselves as roof ice dams, pest problems, foundation cracking, soil erosion, and mold damage. Whatever the problem and cause may be, if a simple cleaning isn’t the solution, considering replacing your gutters. Finding broken or damaged gutters while performing maintenance may be too late for prevention. Water or mold damage may have already occurred. Our trained and professional staff are able to help locate and fix any damage caused. We are also able to help prevent future issues from forming. At A&J Property Restoration DKI, we will work quickly to restore your property to pre-loss conditions. 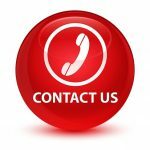 Contact A&J Property Restoration DKI 24/7 for any emergency restoration service needs for residential and commercial properties in Madison, Middleton, Sun Prairie, Portage, Milwaukee, Brookfield, WI Dells, Fort Atkinson, Waukesha, West Allis, and surrounding Dane County Wisconsin areas.